Jacqui Ewart is a senior lecturer in journalism and media studies at Griffith University. Dr Ewart is a member of the Centre for Public Culture and Ideas and the Key Centre for Ethics, Law, Justice and Governance, both at Griffith University. She previously worked as a journalist and media manager. 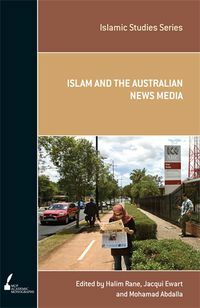 She is the author of Islam and the Australian News Media (2010, with Halim Rane and Mohamad Abdalla) and Haneef: A Question of Character (2009).